The ultimate Hollywood insider experience! Find out where the stars of today were once discovered and where you’ll catch the world’s next superstar. 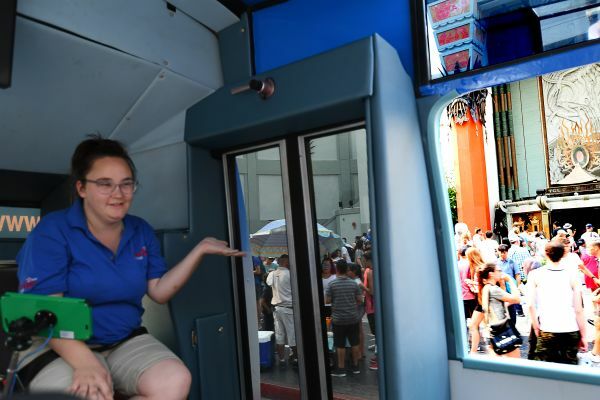 From restaurants to clubs, shops and studio lots, join our Young Hollywood Tour guides and witness Los Angeles through the eyes of your favorite celebrities! .Produced by the go-to celebrity network for the next generation, this tour is a must for anyone traveling to the city of angels to spot their favorite celebs or discover the next global superstar! Discover the trendy hotspots where celebs hang out and party, and learn about their LA culture and lifestyle through our exclusive behind the scenes content featuring your favorite stars. 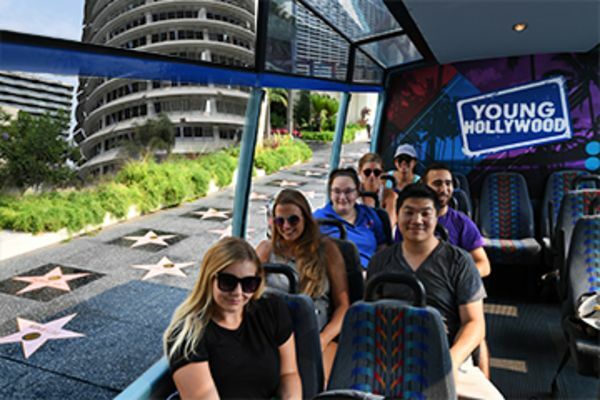 The Young Hollywood tour is one of the most exciting, unique, and immersive tours in Hollywood! If that’s not enough, we’re taking you around the city in our custom-designed luxurious open-air bus, with a state-of-the-art audio/video system, phone chargers at every seat (so you’ll never miss a selfie) and WiFi. Here’s your chance to explore Los Angeles through the eyes of your favorite celebrities like a true superstar!